(Beyond Pesticides, October 16, 2018) Bacteria exposed to widely used herbicides like Roundup develop antibiotic resistance 100,000 times faster than average, according to new research published by New Zealand scientists in PeerJ. The results have ominous implications for the modern world’s ability to avert a post-antibiotic era. Even if new antibiotics are discovered, or existing compounds used more judiciously, scientists say that will not be enough to prevent the ongoing crisis – the world is also confronting bacterial exposure to herbicides and other non-antibiotic agents that have the ability to rapidly induce resistance. This current round of research by Dr. Heinemann and his team is the outgrowth of previous studies (1, 2) that established the ability of common herbicides to induce antibiotic resistance in strains of pathogenic bacteria Salmonella eterica and Escherichia coli. Now, the scientists are drilling into the real-world implications of these phenomena, investigating whether realistic levels of exposure to Roundup (glyphosate) and Kamba (dicamba) herbicides can precipitate the evolution of resistant populations. Scientists conducted a number of tests, which fell into two broad categories. Where herbicides were shown to increase the minimum amount of an antibiotic required to control bacterial growth, scientists investigated whether the bacteria that survived would pass those traits on. Where herbicides were found to lower the minimum amount an antibiotic required to control bacterial growth, scientists investigated whether the herbicide changed the sub-lethal amount known to induce resistance in subsequent microbial populations. Results showed that bacteria continually exposed to herbicides and the antibiotic ciprofloxacin (cipro) rapidly developed offspring that required higher amounts of antibiotics to control. Researchers calculated that the combination of Kamba with cipro and S. typhimurium resulted in resistance developing at rates 100 times faster than usual, while a Roundup, cipro, and E. coli combination led to rates 100,000 faster than average. Bacteria exposed to herbicides alone did not create antibiotic resistance. However, scientists also found that bacteria exposed to both herbicides and antibiotics with mutagenic properties could develop resistance as a result of higher rates of random mutations. Antibiotic resistance represents and existential threat to modern civilization. As the study authors’ note, “antibiotic resistance in our pathogens is medicine’s climate change: caused by human activity, and resulting in more extreme outcomes.” Like climate change, we successfully address growing antibiotic resistance, but there must be the cultural and political will to make the shift. Advocates already working towards pesticide reform can add another reason for policymakers to shift away from toxic herbicides and other pesticides: stopping antibiotic resistance. 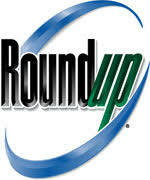 For more information on the connection between the herbicide Roundup and bacteria in our environment, see the article Monsanto’s Roundup (Glyphosate) Exposed. Help support organic agriculture, which eliminated the allowed use of antibiotics for fruit production due to concerns over resistance. This entry was posted on Tuesday, October 16th, 2018 at 12:00 am	and is filed under Agriculture, Bayer, Glyphosate, Monsanto, Resistance, Uncategorized. You can follow any responses to this entry through the RSS 2.0 feed. You can skip to the end and leave a response. Pinging is currently not allowed.